4th Heywood St Luke’s Brownies celebrated World Thinking Day in style by hosting their very own American-Themed party. 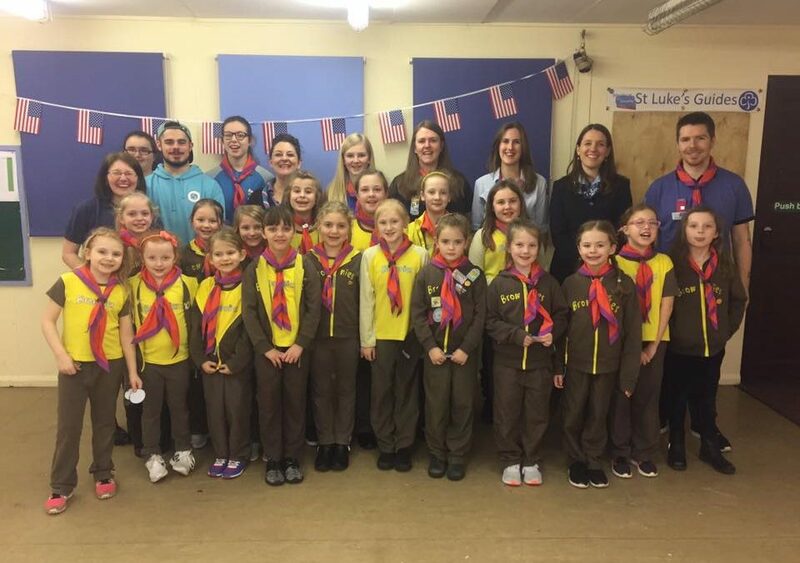 Brownies planned an evening of American-based activities including Cheerleading and Rock ‘n’ Roll lessons from Kat’s Dance Academy! Each year, World Thinking Day is celebrated by Girlguiding members and Girl Scouts across the world on 22nd February. It is a day of international friendship and solidarity, which also marks the joint birthdays of Scouting founder Robert Baden-Powell and his wife Olave Baden-Powell, who was World Chief Guide. 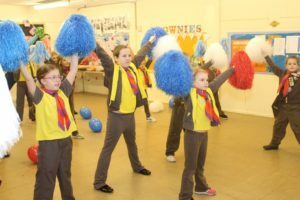 4th Heywood St Luke’s Brownies were one of the lucky unit’s that won a competition ran by their Region, Girlguiding North West England. The girls had to write about guiding on a global scale, and explore what it means for them to be part of an international organisation. They were selected for their superb answers, and won all of the essential party items for their World Thinking Day celebrations. 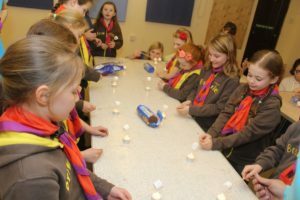 The unit was joined by a very special guest, Bekky Ashmore, Assistant Region Chief Commissioner, who took part in all of the exciting party activities and presented each girl and Leader with a special commemorative badge. A surprise visitor to the unit was Nicola Grinstead, World Board Chair of the World Association of Girl Guides and Girl Scouts.